Modern block kitchen features clean lines with a concrete countertop and flat panel doors. 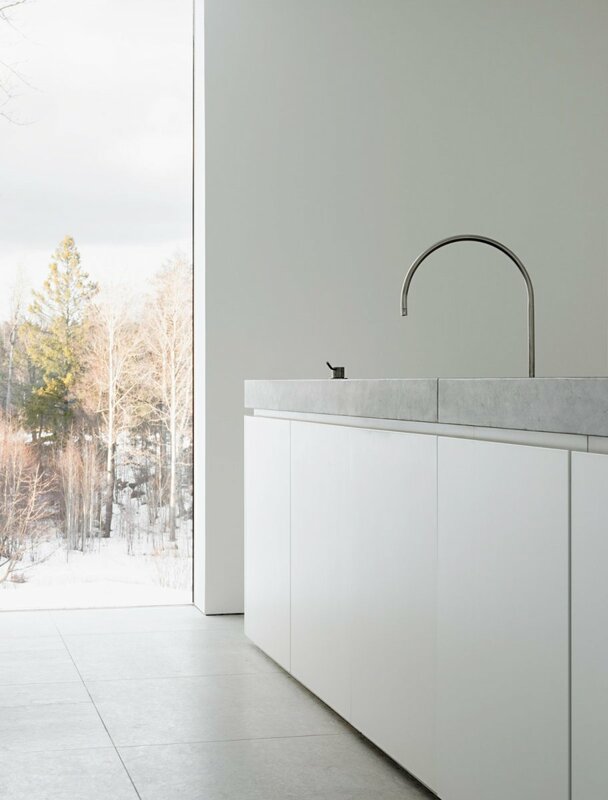 In the minimal Palmgren House in Drevviken designed by the London-based architect John Pawson. Photographed by Gilbert McCarragher.